New research by AAA indicates that electric vehicle driving range may decrease drastically in extreme cold weather; a decrease exacerbated by use of the vehicle’s heating-ventilation-air-conditioning or HVAC system. 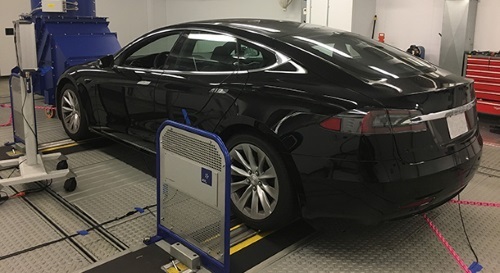 The group’s analysis – released Feb. 7 and based on tests involving five electric car models – showed that when temperatures dip to or below 20 degrees Fahrenheit and the HVAC system is used to heat the inside of the vehicle, the average driving range is decreased by 41 percent. That means for every 100 miles of combined urban/highway driving, the range at 20°F or below would be reduced to 59 miles. Cold weather, however, is not the only factor that can influence driving range. AAA’s research also found that when outside temperatures heat up to 95°F and air-conditioning is used inside the vehicle, driving range decreases by 17 percent. Extreme temperatures certainly play a role in diminishing driving range, but the use of HVAC in these conditions – particularly the heat – has by far the greatest effect. Additionally, an electric vehicle with a compromised driving range will require charging more often; increasing the cost to operate the vehicle. For instance, AAA’s study found that the use of heat when it’s 20°F outside adds almost $25 more for every 1,000 miles when compared to the cost of combined urban and highway driving at 75°F.